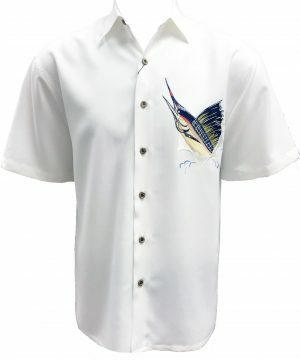 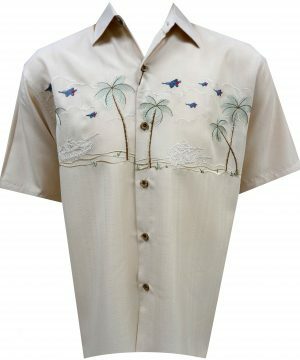 Enjoy the sophisticated look and feel of this embroidered shirt at half the price of silk, with Bamboo Cay’s washable “polynosic” embroidered shirts. 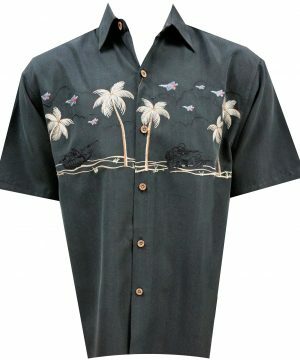 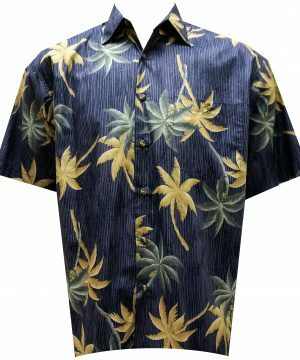 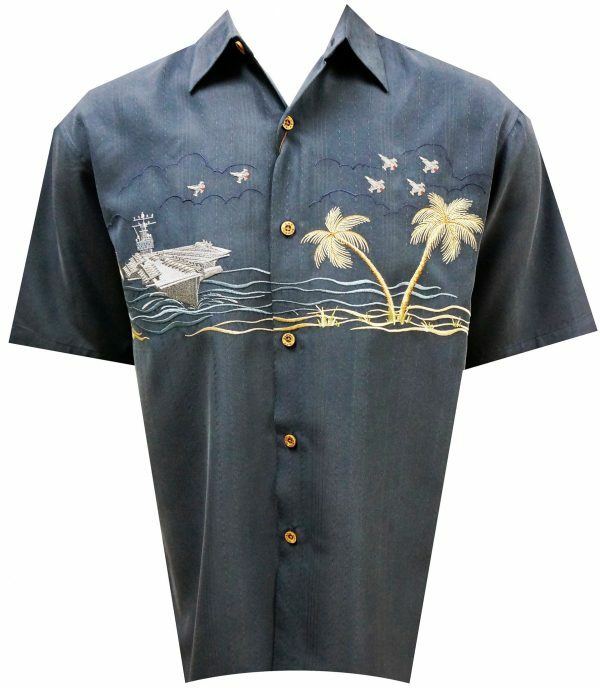 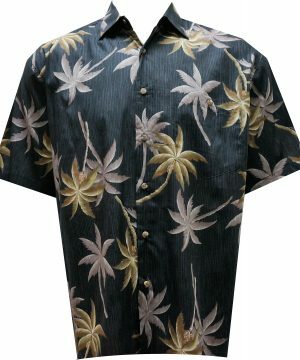 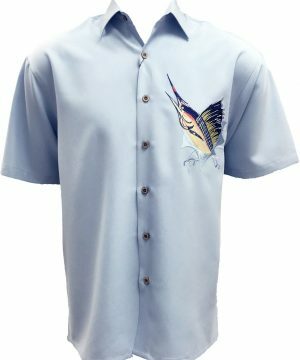 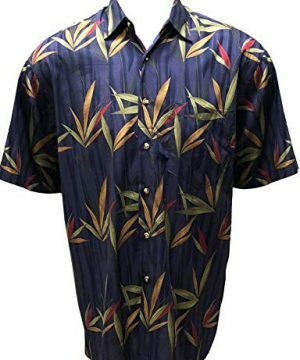 This camp shirt features a front embroidery of a U.S Navy Aircraft Carrier in a tropical Bamboo Cay Island scene. 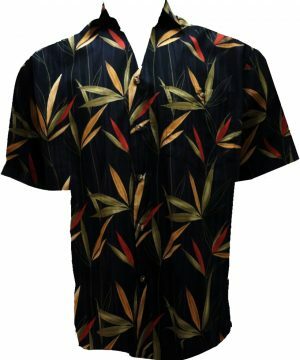 It is an illustration of the world’s strongest Navy relaxing in Bamboo Cay’s resort.